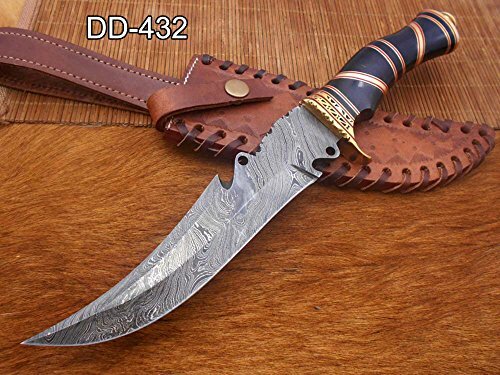 Natural Stag antler, brass & wood scale Damascus steel karambit Knife 10.75″ Long custom made hand forged, Cow hide Leather sheath – Damacus Depot, Inc.
Comes with top Quality thick and robust leather sheath that can be worn on belt. Our products are intended to use for legal purpose only. We will not sell any of our products to under 18 Years of age.